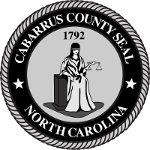 Cabarrus County EMS seeks to provide the best services to our residents through community education events as well as dedicated event coverage. Requests must be submitted at least 30 days prior to the event. Any request made less than 30 days prior to the event must be made using the form and followed up with a phone call to the EMS Assistant Director. The rate is $82 per hour for each advanced life support ambulance provided. Each ambulance is staffed with two crew members. While we will make every effort to help, coverage is not guaranteed due to the nature of the 911 system, which is always our first priority.